See Namibia Pagefor more information on the work of AfriCat, who are making a vital contribution to the conservation of predators in Namibia. Martin hosts an excellent site, containing numerous links to overland websites (past, present and future). Another website offering travel and technical information for Land Rover enthusiasts. A travellers' website offering up to date travel and technical information for Land Rover overlanders and enthusiasts. Heine, Kobus and Jacques provide an excellent service within the Outventure shop. Not only did they equip Daphne I professionally, offering sound practical advice, the quality of the fitment meant much was salvagable and fitted onto Daph II. Mike and Donald provided excellent advice and assistance whilst refitting Daph II. Following our accident, Bruce Willmore and his colleagues at Cross Country Insurance, were extremely supportive. Their 'All Terrain' policy is underwritten by SA Eagle and covers our travel up to, and including, all southern African countries to Kenya and Uganda (less Angola and CAR). Their policy is unique in that it also covers vehicle accessories. Their efficient and full understanding of our predicament ensured that the vehicle assessment was carried out as soon as possible, and Daph I was written off within 14 days of the accident. As we did not have a South African bank account, Bruce offered to arrange for payment of our second vehicle direct, which meant that the limiting factor on buying another vehicle was actually the availablity of the Land Rover, rather than funds. Daph II has been re-insured with Cross Country Insurance, and we can recommend their services with total confidence. CAPE TOWN, Redbourne Hilldrop: Jonny and Sharon run an excellent guesthouse in Oranjezicht (difficult to pronounce properly unless you speak Afrikaans or Dutch). 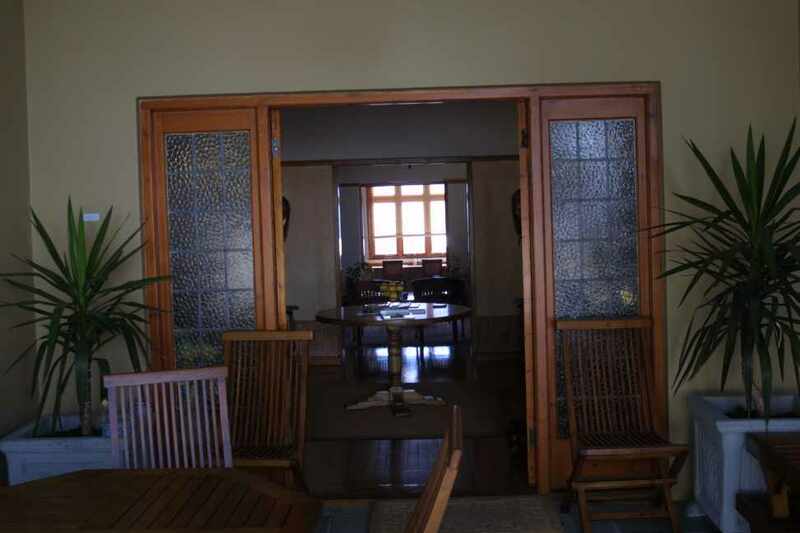 The breakfast room overlooks the city and harbour and the front of the house has a beautiful view of Table Mountain. We very much appreciated their hospitality and support as we prepared Daphne II to resume our journey - we couldn't have done it so quickly or efficiently without them - thanks guys! 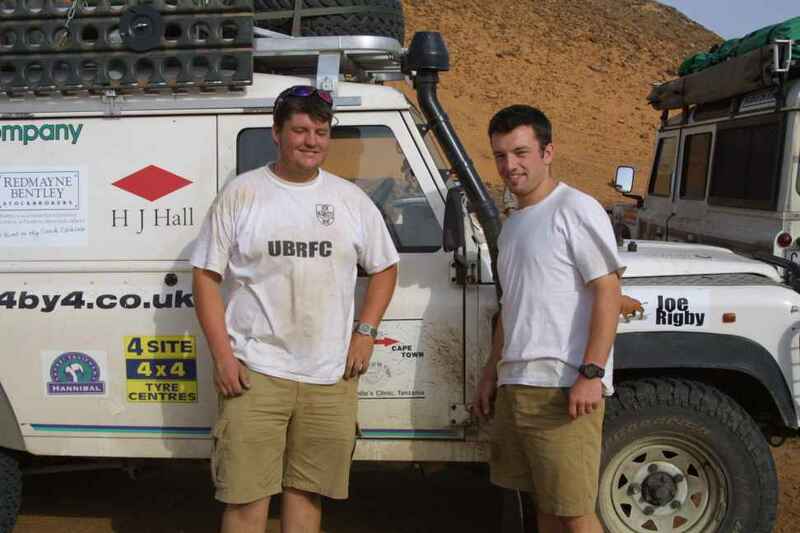 Will and Justin are driving from London to Cape Town in aid of St Philips Clinic in a remote part of Tanzania. They are aiming to raise £10,000 for this charity. We met them in Khartoum, and spent a few days with them. We met Philip, Ben and Luke in Chad. 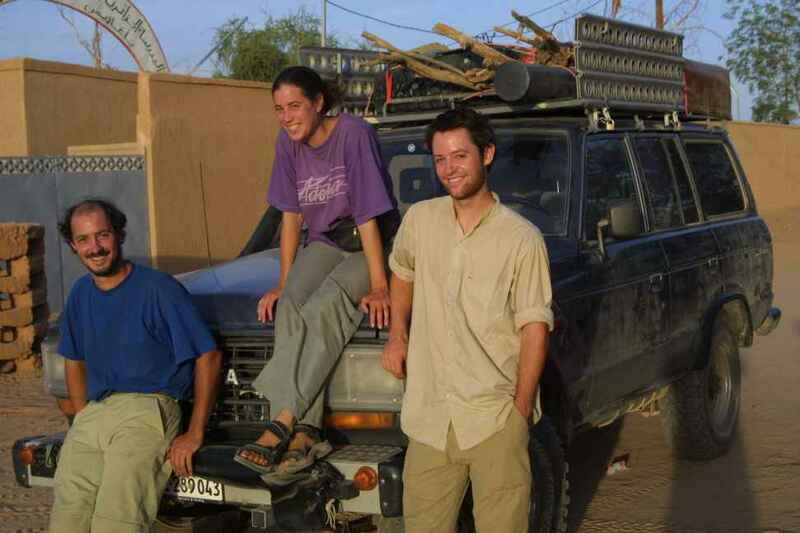 They are friends of Will and Justin, and had just succeeded in obtaining a Sudanese visa when we saw them. They are travelling via the Masai Mara in Kenya, where they plan to dig boreholes and then on to Cape Town. Follow their journey using the picture link. We met Peter, Barbara and Kasper in Agadez in the queue to register with the police. They are travelling to Cape Town, having transited through Algeria. They will go on from Niger to Chad and Cameroon before crossing Sudan.